With the DETECMobile App for smart phones and mobile devices, you’ll have one-touch access to fast, secure account information. You can view your bills and make payments, manage your alerts and reminders, and even receive push notifications! 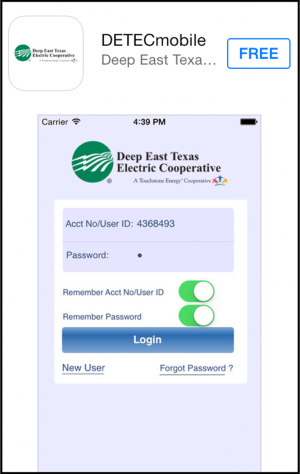 Our App for iPhones®, iPads® and Android™ devices will also give you quick access to our contact information, office addresses and hours, and other payment locations. Search "DETEC" in the App Store or Android Market.